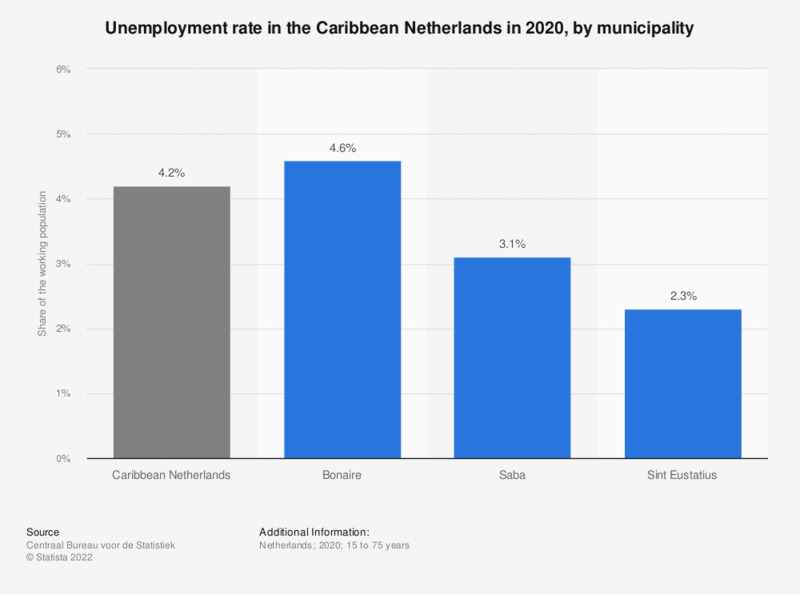 This statistic displays the unemployment rate in the Caribbean Netherlands in 2016, by municipality. In 2016, approximately 6.5 of the population between 15 and 75 years old in the Caribbean Netherlands was unemployed. Unemployment differed markedly from island to island. Whereas on Sint Eustatius unemployment was 7.1 percent in 2016, on Saba only 3.3 percent of the population was unemployed.